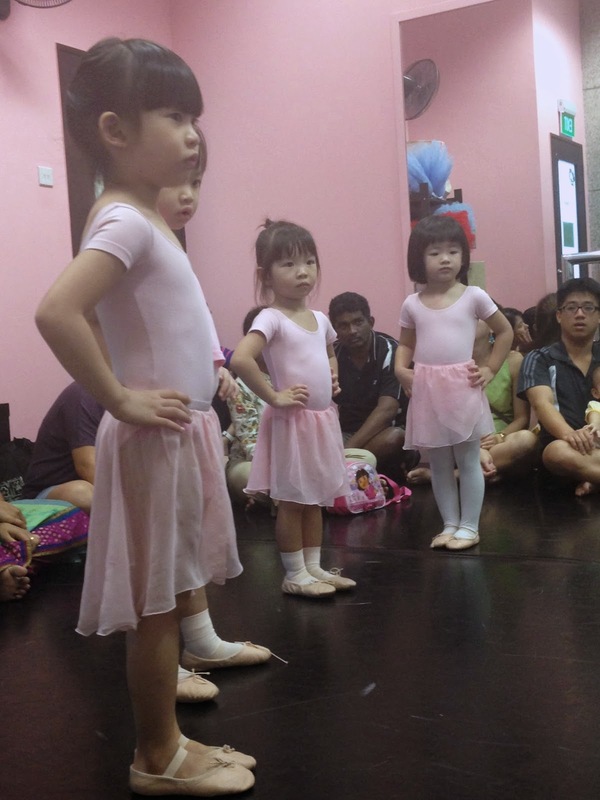 Been wanting to write on Kylie's ballet classes since forever but I kept sitting on it. All these pictures are actually from weeks ago when Le Grand had an open house for parents. Unfortunately, it entirely slipped my mind to bring my camera alone so bear with the poor quality of the photos, they were taken from my mobile. 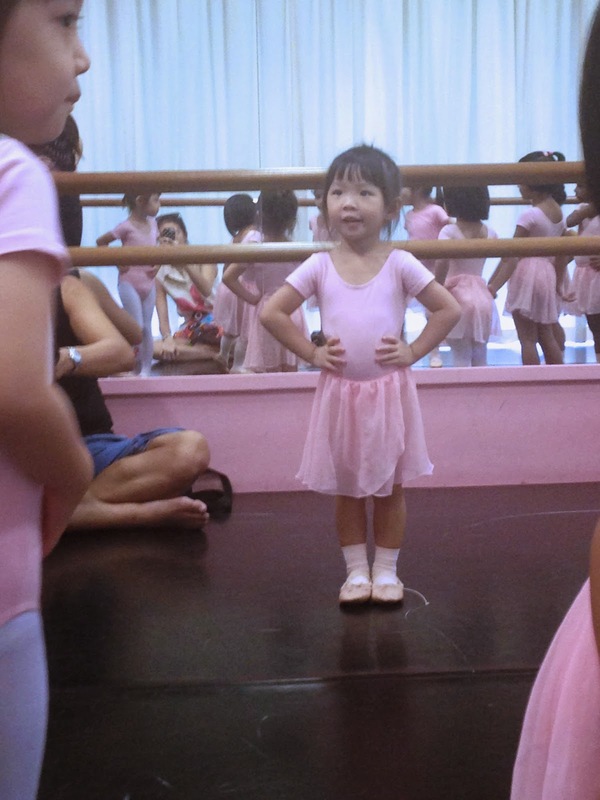 So as the title would tell you, Kylie's been attending ballet classes at Le Grand School of Dance since May (i think) & she enjoys the classes a lot! Sometimes. 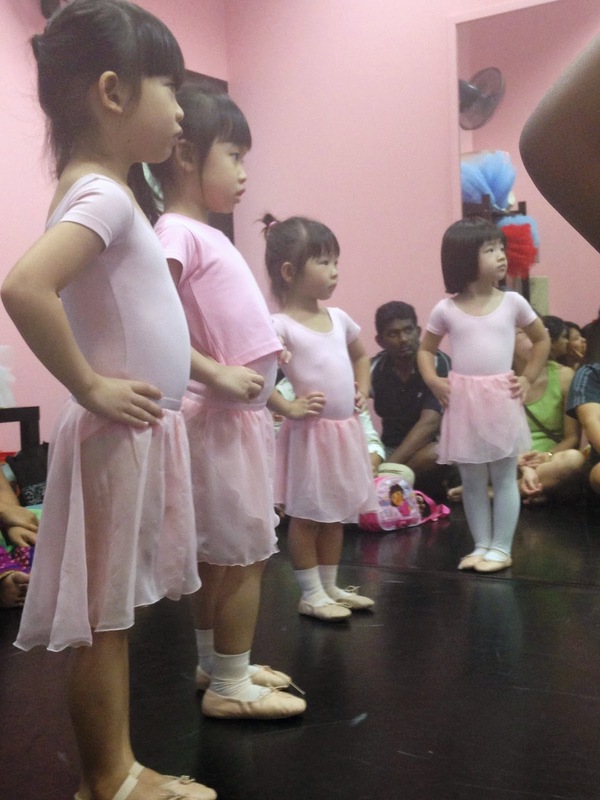 she comes home from ballet & shows us what she learnt in class too! I got to sit in for Kylie's first class as well & I was really happy with the way her teacher was able to engage the kids. I saw for myself how uncooperative some of the kids can be & I'm pretty impressed with how focused & attentive Kylie was the whole time! (Except during the open house when she kept yawning & complaining she's tired, haha.) Her classes are at 9am in the morning and the princess has a little bit of trouble waking up early. 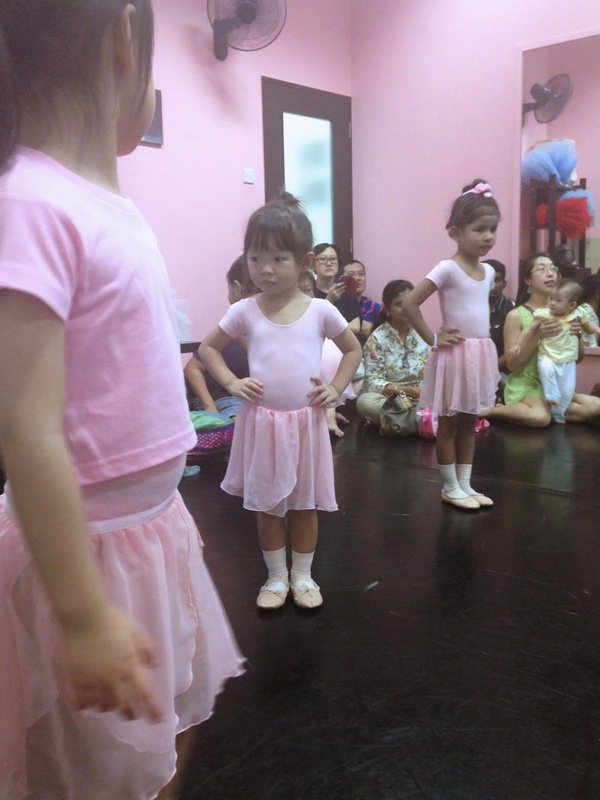 Looking like a true blue pink ballerina! The smallest among them all. 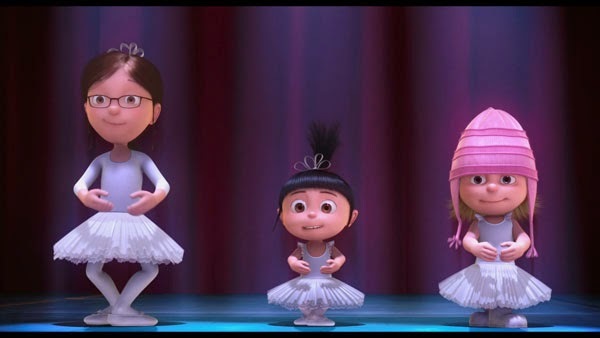 A friend of mine actually saw this picture & sent me a collage of Kylie & Agnes from despicable me (below, middle) the resemblance is hilariously uncanny! 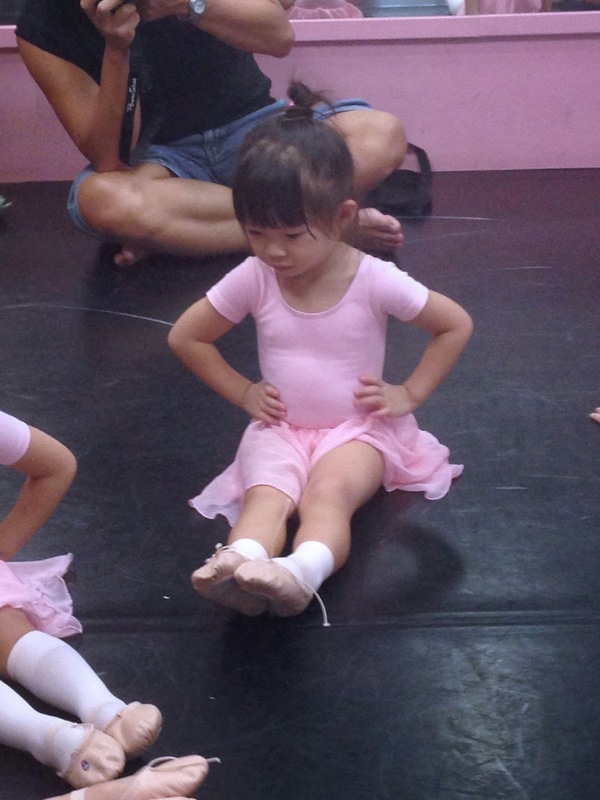 The first class Kylie attended, her teacher asked them to "point their toes" like that (above) but Kylie literally just used her finger & pointed to her toes. HAHAHA. Glad she's got the hang of it now! 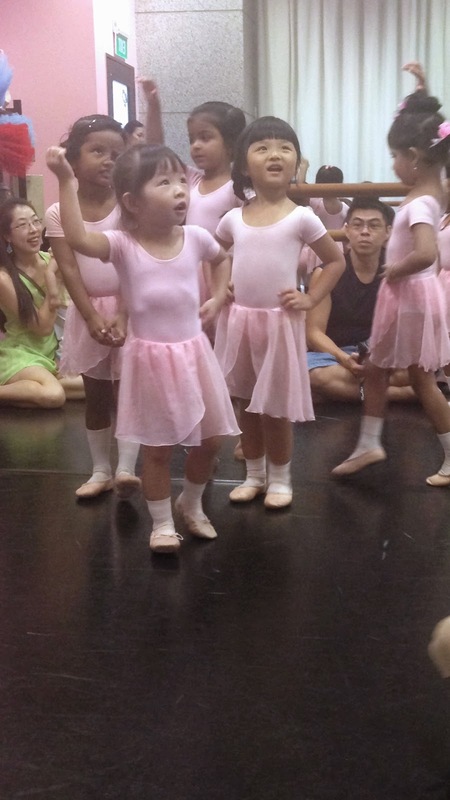 I don't know much about ballet but I think Le Grand's a pretty good ballet school, one of the girls there actually won 1st place in the whole of Singapore for a competition as well! 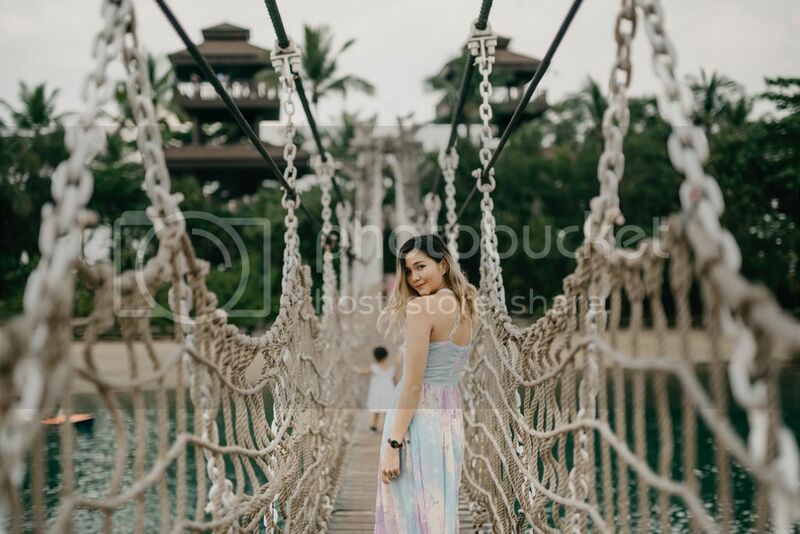 Anyway, we weren't allowed to video the class due to copyrights issue but here's a sneak peek, took this video before I knew it wasn't allowed. heh. 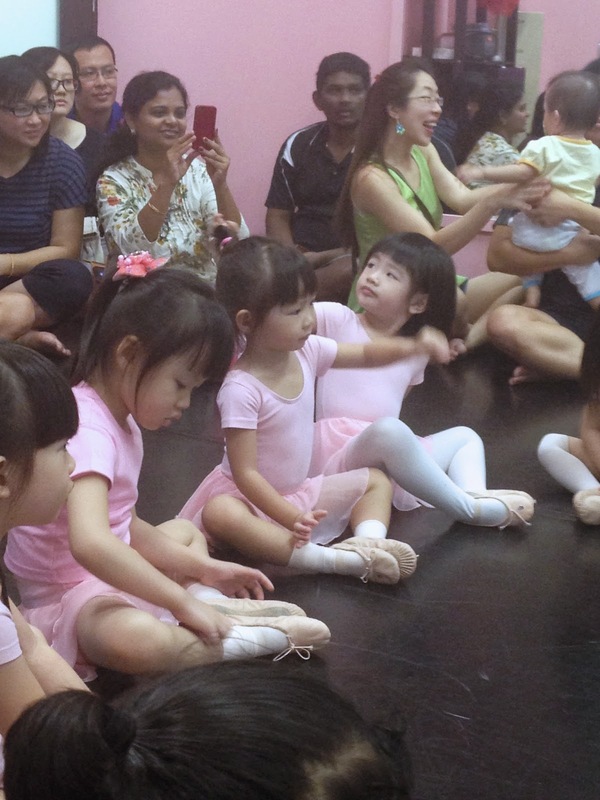 If you guys are interested to enrol your kid (or yourself) in ballet, you can check out their site! 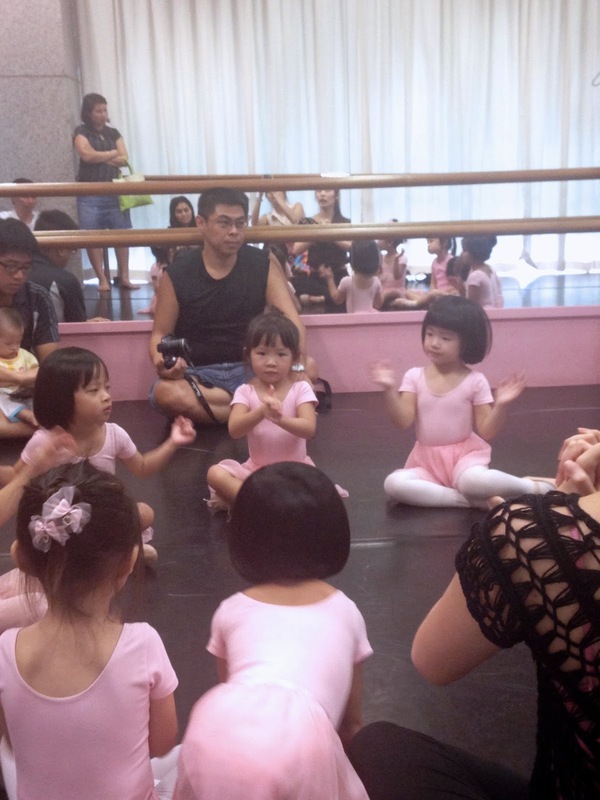 They have ballet for 2 and a half year olds all the way up to adult ballet! 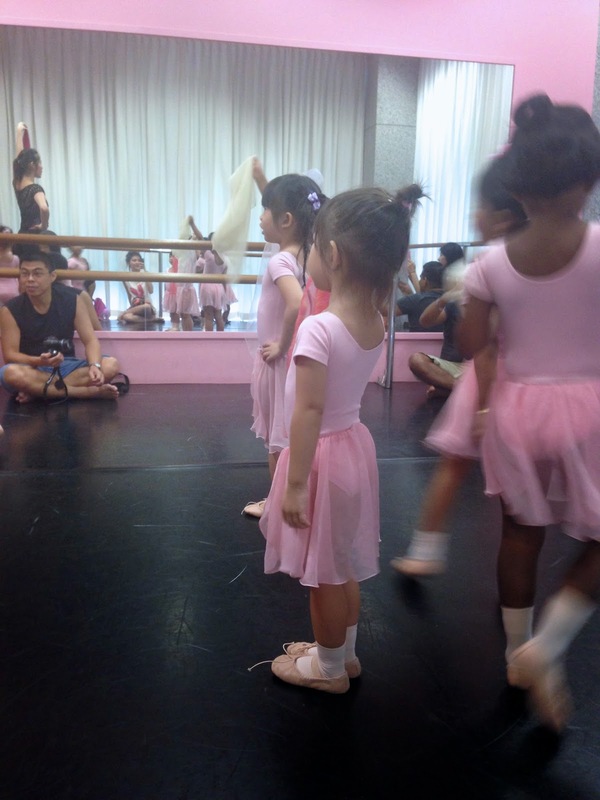 They also have other dance classes such as Flamenco & Hip hop! Or alternatively, you can also contact them via phone/email or just drop by the dance school to enquire!